When you play a racket sport like tennis, you make a lot of overhead serves and shots that put strain on your shoulder. A common result is a rotator cuff injury—a tear in one of the tendons that hold the muscles and bones of your shoulder joint together. A rotator cuff injury is painful and can keep you off the court for weeks. If properly treated, however, a rotator cuff injury can heal faster and better, so you can be back in action sooner and are less likely to reinjure yourself. Rotator cuff injuries in tennis players tend to be caused by repetitive stress, and simple wear and tear. Poor posture adds to the likelihood of an injury, but the biggest risk factor for the average athlete is simply being active, combined with age. In most cases, a rotator cuff injury starts when the tendons in the area become irritated and start rubbing against the bone. The result is inflammation and scar tissue, which makes the tendons weaker and less flexible. Eventually, a strong overhead motion like a serve leads to a tear in a tendon. Rotator cuff injuries aren’t inevitable, but the longer you’ve been an active tennis player and the older you get, the more likely an injury is. Good nutrition, strong warm-ups, and good form all help avoid rotator cuff injuries. 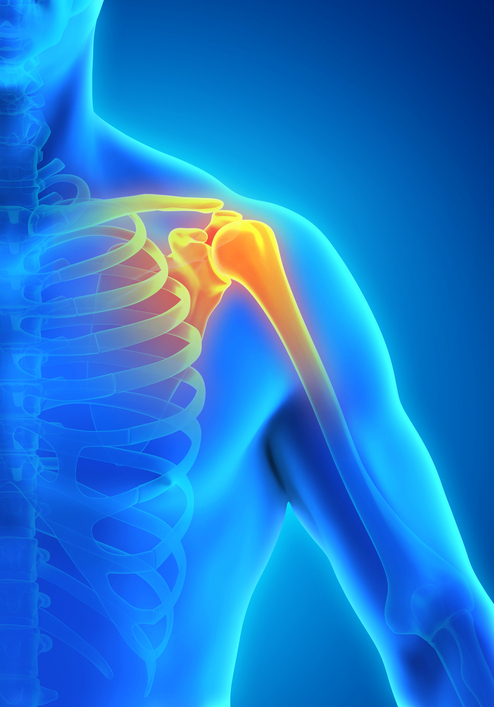 All rotator cuff injuries cause pain, weakness and loss of range of motion in the shoulder. You’ll know it’s your rotator cuff and not simple muscle soreness if activities that make you reach above your head, like combing your hair or reaching for something on a top shelf, become painful. When the pain first begins, icing your shoulder can be very helpful. For the first two to three days after the injury, use ice three times a day for about 20 minutes at a time. Ice is most effective for those first few days. Natural anti-inflammatory supplements can be very helpful for relieving pain and swelling. Proteolytic enzymes, including trypsin, chymotrypsin and bromelain are a great way to reduce swelling without upsetting your stomach. Others natural anti-inflammatories, including Boswellia, turmeric, ginger, and vitamin C help bring down the pain and swelling. Again, they work well without causing digestive problems. To protect the damaged area, the muscles around it contract, causing additional pain. Nutrients that relax muscle tissue, including calcium, magnesium, lemon balm and valerian, can be very helpful. They relax the clenched muscles without making you groggy. Ice, natural anti-inflammatories and nutrition are important as immediate self-help. The pain and limited range of motion, however, are telling you it’s time to seek active help to modulate the inflammation and speed up the healing process. Waiting more than a few days will only make the recovery process slower. Rotator cuff injuries hurt. You might be tempted to take it easy for a while by avoiding anything that makes your shoulder hurt or by using a sling. Immobility is actually counter-productive. If the pain is severe, take it easy for a few days, but keep moving. Gently move your arm and shoulder through their full range of motion several times a day. Once the injury is past the acute stage, you can move to more active exercise to start restoring mobility and rebuilding strength. Gentle stretching is key here—do it several times a day, every day. In addition to stretching and exercises to strengthen the shoulder, I always recommend exercises to strengthen the shoulder blade (scapula) as well. All too often, weakness or misalignment in the shoulder blade is the true cause of the tendon damage that can lead to a rotator cuff injury. The scapula stabilizes your shoulder and keeps it moving smoothly. If it’s out of alignment in some way, it’s likely to cause shoulder impingement—a tendon in the rotator cuff rubs up against the bone. The tendon gets squashed and inflamed, which can lead to a rotator cuff injury. Exercises to strengthen the scapula help it stay in place and prevent further shoulder impingement and re-injury. The way you position your neck can also have an impact on your shoulders. As part of their therapeutic exercise program, I have my patients do neck exercises to help correct a forward head posture that puts strain on the vertebrae of the neck and on the shoulders. Rotator cuff injuries take a long time to heal completely. The healing process can be sped up by using Low-Level Laser Therapy (LLLT). This treatment uses laser light—coherent light at specific wavelengths. The light passes through the skin and reaches the damaged area. The wavelength is designed to stimulate the biological processes that reduce inflammation and switch on the healing process. It stimulates the cells in the area to stop producing the natural chemicals that continue inflammation and gets them to switch over to producing the anti-inflammatory enzymes and other chemical messengers that reduce pain and improve mobility in the joint. I use a highly effective handheld LLLT device that is FDA-approved and extremely safe. LLLT treatments are quick and painless—there’s no sensation of heat and a treatment usually takes less than five minutes. A study in the prestigious journal Clinical Rheumatology concluded that the combination of therapeutic exercise and low-level laser therapy was more effective for improving pain and loss of range of motion from shoulder impingement than exercise alone. Active Release Technique (ART) Injury Care is a highly effective technique for resolving soft-tissue injuries. When you have an injury such as a rotator cuff tear, your body produced tough, dense scar tissue as part of the healing process. The scar tissue is a natural response to injury, but it binds up and ties down the tissues. It’s also permanent—your body doesn’t have a natural way to remove scar tissue. The body can adapt to and tolerate a certain amount of scar tissue, but unless it’s treated, the affected join will never again function optimally, and the chance of re-injury is increased. The scar tissue from a rotator cuff injury causes tension on the injured tendon, makes the muscles in the area shorter and weaker, and can trap the nerves in the area. It all contributes to ongoing pain, loss of strength, and reduced range of motion. ART Injury Care uses precise techniques to help remove the scar tissue that forms when the shoulder is injured. When I work with rotator cuff patients using ART, I use my hand or thumb to evaluate painful area of the shoulder. I then put that area under tension and have you move your shoulder and arm through a specific range of motion. I’ll feel the tissues slide under my fingers as the scar tissue breaks up and lets the area move freely again. An ART session takes only about 15 minutes. Sometimes, the adhesions and scar tissue of a rotator cuff injury are extensive and deep. In those cases, instrument-assisted soft tissue mobilization techniques are more effective for detecting and treating these areas. When using IASTM, a stainless steel instrument is moved along the joint and acts as a sort of adhesion stethoscope, detecting bands of scar tissue that cause restriction. The instrument is then used to break up the adhesion. FAKTR (Functional and Kinetic Treatment with Rehabilitation), for example, is a highly-effective rehabilitation system that involves stretching and strengthening exercises, while instrument assisted soft tissue mobilization is being performed. This helps promote a healthy realignment of the tendon and muscles fibers. TheraBand Kinesiology Tape—thin, elastic adhesive tape—can be applied to sore areas as a way to reduce swelling and make joint motion smoother. TheraBand tape is made of stretchy cotton fibers. Compared to traditional athletic tape, the elastic fibers in the tape allow much greater range of motion after it’s applied. The tape works by microscopically lifting up the skin and holding it away from the sore muscles. This decompresses the area and helps reduce swelling. The tape also sends a signal to the nerves in the skin, telling the brain to minimize pain in the area. Rotator cuff injuries often indicate an underlying problem with body movement. Poor posture, for instance, can get your shoulder blades out of alignment, which sharply increases the risk of injuries to the shoulders and back. To prevent re-injury to your damaged rotator cuff and to avoid future injuries, a Functional Movement Assessment to detect and correct imbalances can be very valuable. Any one of the treatment modalities I’ve mentioned here will help you return to full activity faster after a rotator cuff injury. When they’re carefully combined, however, healing is accelerated. The sooner your pain is reduced and your strength and range of motion are restored, the sooner you can get back on the tennis court.